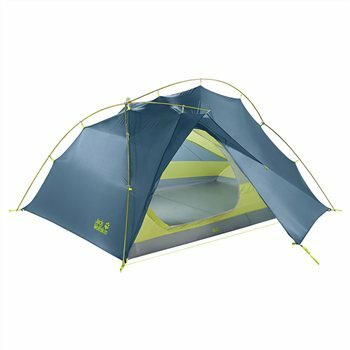 The EXOLIGHT trekking tent is ultra lightweight, has high wind-stability and can be put up quickly. The flysheet is coated with PU on the inside and silicone on the outside. This means that it is tear-resistant and tensile. The pole system was developed by specialists from DAC and can withstand wind speeds of up to 80 km/h. It can be quickly and easily fixed in place on the poles with the aid of clips. The inner tent and the flysheet are connected, so that the inner tent always remains dry when pitching the tent. Further features include an overhead pocket, mosquito mesh and integrated air vents. Ultra-lightweight, HYDROFILM SILICONIZED NYLON 40D fabric, coated on both sides and with a water column of 5,000 mm.